Never forget about the mother…even in nature. It’s an angle to be considered whenever the bully tries to show off. “Oh, we’re all covered with ticks,” Mother said, rumbling noisily. “Come and join us for a dust bath.” Little Bull, feeling a bit independent, didn’t want to bath with the rest of the family. Grumbling that he was old enough to do his own thing, he wandered off a little while to have some privacy. Puberty is such a difficult time!. But Bully Bull thought this was the time to show off. Interrupting Little Bull’s ablutions, he tried to intimidate him. Poor Little Bull. He was no match! “Come on, Mom, I’ll show you who did it. Whaaaaa!” And Mom singled out Bully Bull to give him a piece of her mind. And that’s what the whole family did. The angle? Listen to your parents, they know best (even if you are a teenager!). And never, never forget that a mother will always put a bully to shame. This entry was posted in weekly photo challenge and tagged Africa, dust bath, elephant, photography, weekly photo challenge on August 29, 2015 by Amos van der Merwe. They fall silent at that. Yes, sixteen is a sweet, sweet age. How they all cherish the memory of the uncomplicated time when nothing was ever serious enough to keep you awake at night. Nothing, of course, except the first fluttering awareness of love? In the real world, adults struggled with politics, the economy and war – but at sixteen this didn’t concern them in the least. Those issues were just too abstract to worry about. But that strange attraction, the allure, of finding somebody to love? Now that was a goal worth pursuing! And then…oh, the bliss!…of being loved! To belong… Ah yes, at sixteen they all dreamed; they all believed that love would find its way and that they’d live happily ever after. “Ja, if I were to meet a genie, I’d ask that life stays the way we saw it at sixteen.” Vetfaan’s wry smile underlines the irony in his voice. He starts humming To Dream the Impossible Dream. “And what, dear Gertruida, is your definition of success?” The sarcasm drips from Servaas’ wrds. Sometimes Vetfaan surprises Gertruida with remarks like these. Even she, the wisest of them all, has no return on his statement. She ends the conversation with a decisive nod, gets up and walks to her home. The lines on her face is more pronounced as she sits down on her porch, enjoying the solitude of the midday silence. Yes, sixteen was good. It is a milestone on a long, long path to understanding that the candles on the cake must be blown out before one can embrace the darkness of reality. 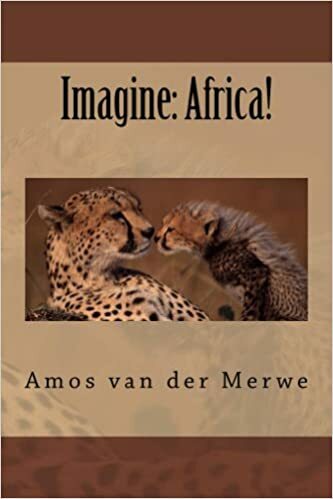 This entry was posted in Life, short story and tagged daily prompt, dreams, life, reality, sixteen on August 27, 2015 by Amos van der Merwe. The Challenge: a perfect day. Well, here it is. This entry was posted in weekly photo challenge and tagged photo challenge, photography on August 25, 2015 by Amos van der Merwe. Even in the far-flung little community of Rolbos, the apparently imminent release of Oscar Pistorius has been a subject of discussion over the last few days. Like in the rest of the country, opinions are sharply divided as to the fairness of it all. “They’ve torched Rome now?” Servaas knows about the busses in George, but this is news to him. “Ag, come on, Oudoom! When his five years are done, he’s a free man.” Servaas draws his thick eyebrows together in protest. Gertruida gets up to pace the length of the counter – a sure sign she’s about to deliver one of her famous speeches again. “The point I’m making, is a simple one: Oscar Pistorius will never be free again. His sentence and his prison are not confined to the real world we live in – it is part of his very soul and his every second of living. He’ll never be able to enjoy a quiet dinner with a loved one in a romantic restaurant or sneak away to a secluded little hotel for a quiet break. He’ll carry the burden of his actions on that fateful morning for the rest of his life – and possibly even after that. His celebrity status, his Olympic achievements, the time when he was an example to everybody faced with insurmountable problems – well, that will all fade away and he won’t be remembered for that. No, wherever he show his face, people will whisper and point fingers. “His prison will be the memory of the 14th February 2013 – not just by society, but by himself as well. He’ll never be free. In the state’s prison he was shielded from the public; I can imagine there’ll be many a day he’ll long for that protection in the future. 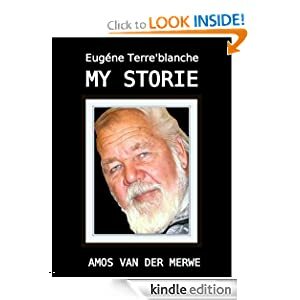 This entry was posted in short story, South Africa and tagged oscar pistorius, parole on August 20, 2015 by Amos van der Merwe. Weekly Photo Challenge: A Creepy African Fairytale. They knew it would happen one day – the old people had been warning them of the danger for years by then. But you know how it is. Young love will not be denied…it’ll find a way, somehow. And it did. Wanting to get married, they invited their families to join in celebrating their joy. It was a real dandy occasion. They whooped it up till late in the night, forgetting all about the bogeyman. And the bogeyman came, ravishingly hungry and ready to cook them all in his big pot. But the slewed elephant, the king of the forest, would not allow it. He stomped out of the trees in rage, rushing to the rescue of the family. Then, using the magic only slewed elephants know, he turned the ugly bogeyman into a colourful guard at his palace door. And yes, you know the rest…they lived happily ever after. This entry was posted in Photography and tagged weekly photo challenge on August 15, 2015 by Amos van der Merwe. Gertruida eyes him suspiciously, wondering what he’s up to now. Ever since they stopped speculating about The Diary, Vetfaan seems determined to stop talking in mid-sentence, letting them guess what he was about to say. Although never mentioning the curious case of Spook Visage, it does appear that the gaps in that story fascinated the burly farmer so much that he wants to copy the technique. “Never heard of him.” Vetfaan isn’t really interested, but he can’t help raising a questioning eyebrow. She paces up and down the counter as she lectures them on the man dubbed the ‘Humblest president in the world’. “He addressed the United Nations in a memorable speech in 2013, calling for ‘a return to simplicity, with lives founded on human relationships, love, friendship, adventure, solidarity and family, instead of lives shackled to the economy and the markets’. He received a modest salary, of which he donated 90% to charity. Oh, his only possession, apparently, is the 1987 Volkswagen Beetle. “Strangely, he is married – very happily – to only one woman and he has no children. When offered a million dollars for his car, he said he’d donate the money to the needy. “Then in March this year, his term in office ended. He refused the use of the luxurious presidential palace or even just its attending staff and retired to the small farm his wife owns – where they grow chrysanthemums which they sell for a living. His security arrangements? A three-legged dog called Manuela. The discussion peters out and the group falls silent. They refrain from saying the obvious, which is the point of a very good story, not so? 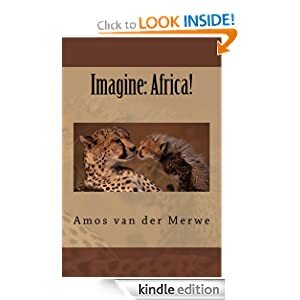 This entry was posted in short story, South Africa and tagged Africa, president on August 14, 2015 by Amos van der Merwe. This entry was posted in Photography and tagged photography, weekly photo challenge on August 13, 2015 by Amos van der Merwe. I am dreadfully tired. However exhilarating my experiences are, they do seem to tap every ounce of energy I ever had. The family looks after me well, though, feeding me strange concoctions – but I can see they are worried, especially the old man. Still, I followed the woman to the shelter, smoked the pipe and had a journey to an area deep beneath Kubu Island. Afterwards I came to the realisation that what I saw there was somehow of great importance. Well, only a fool would see diamonds of that size and not be impressed. However, the sheer size of the crystals is overwhelming. I know very little about diamonds – especially how they’re formed… But… I seem to remember that you need two major components to change carbon into these gems: heat and pressure. Immense quantities of that. I suppose a meteor could do that as easily as the Earth can by moving its crust about. Tonight. I’ll have to go tonight. I’m getting progressively weaker. Don’t know if I’ll be up to it later. Not getting stronger. I have to. Somehow I know I have to. “What?” Even Boggel is now perched on top of the counter, straining to see if he can read the following page. My name is Jakobus Visage, also known as Spook or Koos. But…I’m not the Jakobus in the diary. I’m one of the many others – those that your Koos saw when he scanned the sea of faces around Kubu. Mnay of me, just like there are many of you on the many Earths Koos mentioned. Koos can’t come back. He went in too deep. His life has now shifted to a level you won’t understand – but that’s what happens when knowledge becomes wisdom. It is inevitably irreversible. My mission had been to remove his (my) diary from Kubu Island on this Earth. The reason is simple – and it’s the same reason why Koos’ nephew – Chris – was sent back to lead Gavin Lamont to the diamonds at Jwaneng and Orapa. Had Lamont found the cave beneath Kubu Island, the results would have been catastrophic. Not only are the diamonds down there massive, but the world is not yet ready for the craft contained in that chamber – especially not its contents. The problem was alignment. If the levels are not synchronised, it is impossible to step from the one to the other. Koos did his journey during one of these alignments, now I am able too, because of it. These alignments occur at irregular intervals – this is the first one since Koos met the custodians of Kubu Island. But the diary had to be destroyed. And here’s the problem: one cannot move from one level (you call it dimensions) to another in a physical form strong enough to influence events. Yes, I can talk and move about…but my physical presence is weak. In short- you can only influence circumstances in the level you occupy. My mission is a simple one: get the diary, find somebody to destroy it, and return to my level. After considering many individuals, the choice fell on the population of your town. You are naive enough to follow instructions without trying to understand too much. And you are trusted to keep the contents of the diary secret. That’s it. “Now I’ve heard everything. Shew! It’s too complicated to understand and too simple to explain.” Vetfaan signals for another peach brandy – a large one! Then, as Gertruida gets up to stand next to the fire in the hearth, she hesitates for just a second. She lets her gaze travel over the little group at the bar, receiving a nod from each of her friends. The flames touch the pages – almost hesitantly as if aware of the contents of the book – sending thin tendrils of smoke up the chimney. This entry was posted in short story and tagged alternative realities on August 12, 2015 by Amos van der Merwe. The woman sat me down in the shelter, held out her hand for the bag containing the last, remaining herbs, and then seated herself – cross-legged – in front of me. Her eyes never left mine while she hummed a monotonous tune. Still staring at me intently, she slowly undid a small pouch attached to the leather belt that held up her short skirt, to produce a bone pipe. This she started filling with some of the herbal mixture. I understood immediately. Throwing the herbs on the embers produced the smoke that made me experience amazing things, but that was wasteful. Smoking the herbs through the pipe would save quite a bit of the stuff. She called out softly and the man (her husband?) appeared in the doorway with a burning twig. She lit the pipe, inhaling deeply, before passing it to me. The effect was immediate and much more pronounced than when I was sitting next to the fire. Only…this time I was very much aware that she was travelling beside me. The fact that I could suddenly understand her, somehow did not surprise me. I also realised that we weren’t ‘speaking’ in the normal manner. Don’t ask me to explain this – but ‘communicating’ with her was as simple as thinking. How? I don’t know. “Where are we going?” I had to know. “Deep,” she answered without words. And we did. Instead of flying off into ‘space’ like before, she led me down into Earth. The going was much slower than my previous excursions, but there was no mistaking our surroundings. I was aware of a layer of sand and roots, then coal-like rocks before finally arriving in a huge cavern of blue. Light emanated from the walls and bathed the interior of the huge cave of hues of blue. I suppose I gaped, as I became aware of her giggling. Yes, I agreed, this is quite amazing. She nodded. Then she showed me the rest. The walls of the cave were formed by huge crystals, some of them as large as myself and completely transparent. The surface of these objects felt cold to the touch. These ‘crystals’, I understood, were…diamonds? Again the woman agreed. But then I saw the object in the middle of the cave, This was no crystal, nor any other naturally-occurring thing. It was oblong and shiny, like a cigar holder, and it hummed softly. “This is The Beginning,” her eyes still didn’t leave mine. Then she drew closer to place her fingers on my eyes. Then, unexpectedly, I felt myself pulled back to the shelter at an amazing speed. When I opened my eyes, she was there, holding the pipe. “Yup, that’s it! He showed his hand! As mad as our president…or even worse. Completely bonkers. Off the rails. Nuts.” Vetfaan’s brow shoots up. “Talking of which…Nuts? Any left, Boggel?” He points at the empty Voortrekker Monument bowl on the counter. “It is a bit farfetched,” Gertruida concedes reluctantly. “Although the Makgadikgadi used to be a huge lake with vegetation and forests and animals around it. And don’t forget the fossils they found in the Karoo. 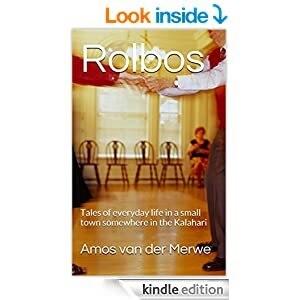 I tell you, things were a lot different a few millenia ago.” She goes on to describe, in some detail, what the Karoo looked like – reminding them that a set of stamps was issued to depict the prehistory of the region. Vetfaan mumbles something about ‘going too far with this nonsense’ without answering her. No, he doesn’t want to even contemplate the question. 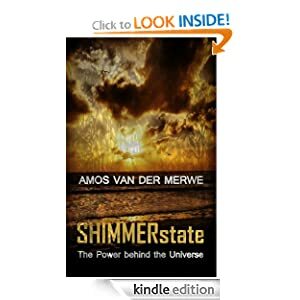 This entry was posted in short story and tagged alternative reality, big bang, dimensions, origin of life., time travel on August 11, 2015 by Amos van der Merwe.